This cross was achieved by crossing Appaloosa coloring with the athletic qualities of the Trekehners. 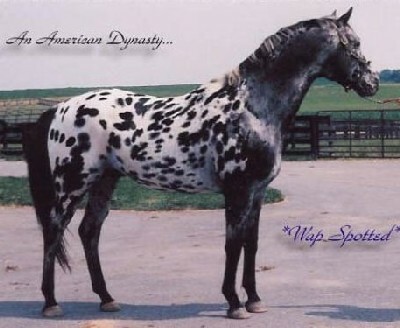 The result is a beautifully-colored animal, larger and with finer lines than the original appaloosa. Their head is erect and attractive. They display characteristic white sclera and a speckled mouth. Their neck is long and well-arched. Their shoulder is oblique and withers high. Their back is long with rounded croup. They have muscular hindquarters with elegant and strong legs.